A study of the end of the world rooted and grounded in the Law and the Prophets. Examines the end of the world on the basis of what Moses and the Prophets and the Psalms teaches on the subject. Exegesis of critical passages in Genesis, Jeremiah, Matthew 24:36, and 2 Peter 3. Also has a section with questions about Covenant Creation. This is the original book. Plans are being made for a revision. Concerned about the end of the world? 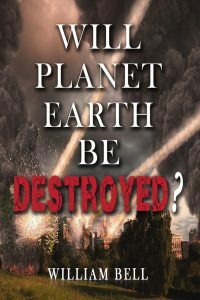 Having difficulty with texts which speak of the earth burning and other cataclysmic events? This book will certainly help to clear us the smog in “end of the world” mania. Takes a solid biblical approach in examining critical passages explained in simple and easy to follow terms. Great study and reference book for those on the go. Order your copy today.